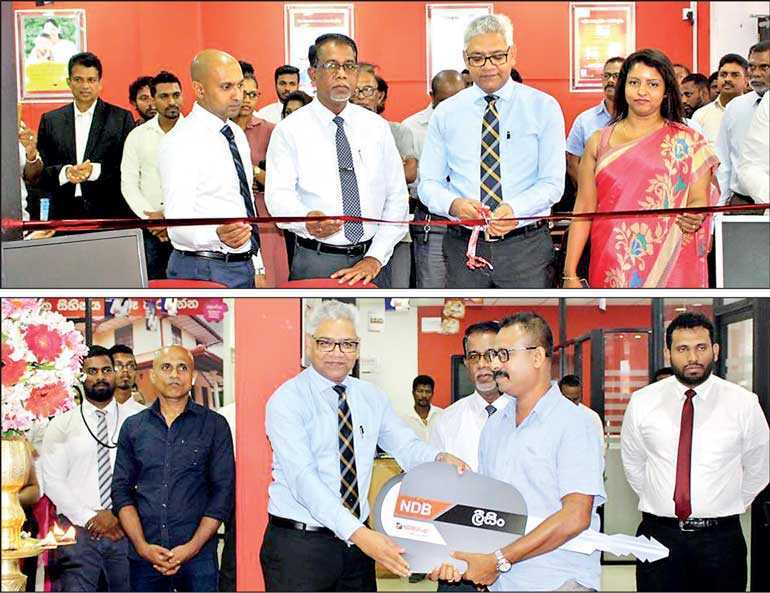 New NDB Leasing Centres were ceremoniously opened at the Gampaha and Negombo branches by Senior Vice President Personal Banking and Branch Network Management Sanjaya Perera and the senior management of the bank. The two NDB Leasing Centres are specialised with individual attention, and doorstep service. Hence, customers can enjoy ease of access as the decentralised processing resulted in saving time creating more transparency as well as over the counter solutions. With the opening of new Leasing Centres at Gampaha and Negombo, NDB Leasing has taken revolutionary steps in the recent past in making leasing facilities more accessible and convenient for the bank’s customers. One of the key advantages of the NDB leasing facility is guarantors are not required. Concept of NDB one-day leasing with no guarantors and no down payment has facilitated customers by providing hassle-free service with minimal paper work. NDB Leasing is available for individuals as well as Small and Medium scale enterprises. It helps to enhance and develop the SME’s sector of the country, by facilitating the purchase of a range of commercial vehicles such as lorries, freezer lorries, buses, and vans as well as equipment. In addition, NDB has also offered customised leasing facilities through its credit line funding for small and medium scale businesses in island wide including North and East Provinces under concessionary rates. NDB extends its leasing facilities to a wide range of customers via regional networks and strategic partnerships. NDB’s 365-day leasing desk available at the bank’s branches islandwide further enhances accessibility for its leasing services.